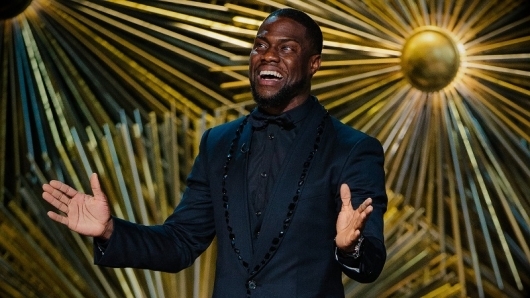 Jumanji: Welcome to the Jungle, Central Intelligence, and Krod Mandoon and the Flaming Sword of Fire (yes it was a real thing and it was amazing) star Kevin Hart has announced that he will be hosting the 91st annual Academy Awards ceremony early next year. He replaces Jimmy Kimmel, who handled hosting duties for the past two Oscars. You can see what Hart had to say about the announcement and how much it means to him, as well as tweets from the Academy and Kimmel, below. A new batch of Oscar statuettes will be handed out when the 91st Academy Awards ceremony takes place on February 24, 2019.